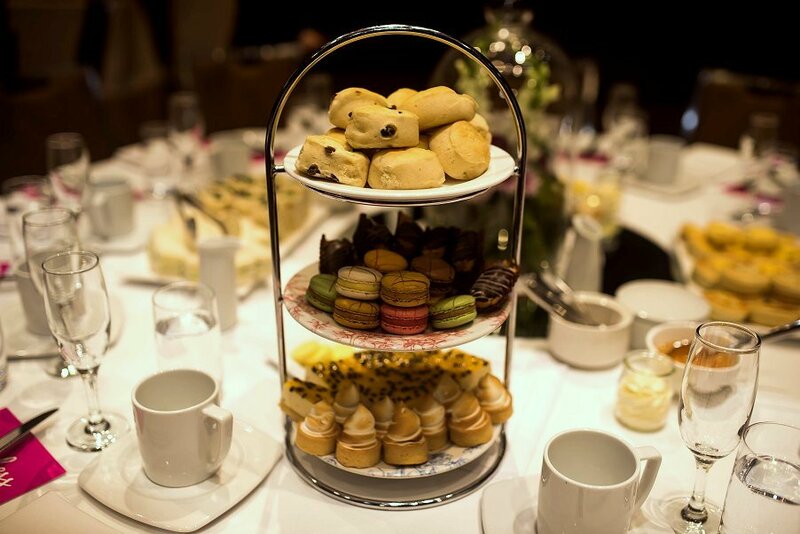 On Sunday afternoon, we were treated to a decadent high tea at the Intercontinental Adelaide to support the Cure4CF Foundation, a cure for cystic fibrosis (CF). The event was hosted by CF mummy, Emmah Evans, a strong and inspiring woman who gave a motivating speech about her life with CF. With a glass of bubbles, an abundance of sweet and savoury treats and tea and coffee, we were set. The MC for the day was channel TEN news reporter (and all round hilarious human being) Rebecca Morse. After Emmah spoke, the afternoon was filled with silent auctions, raffles, prizes and beautiful live music. Cystic fibrosis is the most common life-shortening inherited disease in the developed world and it affects one in every 2500 children. Cystic fibrosis results in progressive loss of lung health and also affects the gut, liver, pancreas and reproductive tissues. The Cure4CF Foundation supports research by Dr David Parsons—the team leader from the Adelaide CF Gene Therapy Research Group—in his research for a CF cure. Thank you to Emmah and Cure4CF Foundation for a beautiful Sunday afternoon, and to Girl About Town for inviting us.